I sent this design to Dave about a year ago. 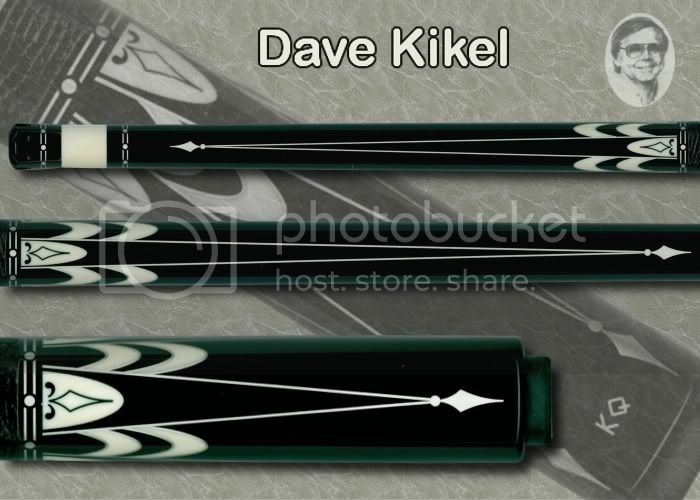 We ended up using an engraved spear in place of an Abalone inlay to keep the cue black, white, and silver. Dave did a magnificent job on this cue. Dave is one of my favorite cuemakers and does not get the credit he deserves IMO. There is also a pic of this cue in Jimbo's ICCS thread. The silver in-between the butterflies is my favorite part of this cue. It does not come through well in the pics. This Kikel is the nutz Jamie! Beautiful cue. That cap, what a touch.